To redeem a coupon, print and present at time of visit. Rate includes Deluxe Continental Breakfast. Complimentary Wi FI and Free Business Center! $10.00 for each additional guest. Not valid with any other coupon/offer. No Cash Value. Based on Availability at time of arrival to hotel. 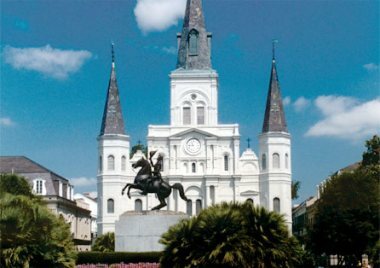 Call 504.581.1600 and use code IJHD1 for rates as low as $119 plus free parking for the length of your cruise (up to 8 days). Based on availability. Excluding special events. 330 Loyola Ave.
Stay with the Garden District Hotel Collection for two nights before or after your cruise, or one night before and one night after, and you can enjoy free parking at the hotel while you're gone. Not valid during special events or with any other discounts (examples: AARP, government). Must book directly with hotel, via phone or hotel website. No third party bookings allowed on offer. No Cash Value 1001 Toulouse St.
Get a free dessert with purchase of two entrees. Valid at: 600 Decatur St. | 334 Royal St. | 311 Bourbon St.
Not valid with any other offer 311 Bourbon St | 600 Decatur St. | 334 Royal St.
Limit one coupon per guest. with the purchase of two entrees! Buy two entrees, get a free app. Buy an app, get a free drink. 10% OFF Golf Simulation Play! $4 Happy Hour Monday through Friday 3pm to 6pm. All draft beer, well cocktails, and select martini's. Limited time only 330 Loyola Ave.
Get $3 off your lunch, on us! Just bring this coupon in to redeem. Free dessert with order of an entree. 1 coupon per person but no limit to the # at a table. 1001 Decatur St.
Save $10.00 on adult admission for any tour with bus transportation or $5.00 off adult admission if you drive to Cajun Pride's swamp tour site. Jump aboard the Double-Decker Open Top Fun Bus for a Guided Tour through New Orleans. Not valid with any other offers. 1380 Port of New Orleans Pl. See below for link! It’s a $10 discount on the regular swamp tours which works out to $19/adult. You can add transportation for another $23. The link automatically applies the discount once the customer chooses a date. Choose between the Spooky Ghost Carriage Tour or French Quarter Cemetery Combo Carriage Tour! Our Festive Cooking Classes feature recipes, laughs, tall tales and a full meal in delightful morning and afternoon cooking demonstration classes. Use code NOCoupon10 to save 10% on your next guided tour. by booking directly online or by phone. Get $10 off your next adventure with our exclusive offer at New Orleans Airboat Tours, LLC. Coupon requires direct booking to be valid. Direct booking is booking by phone only. Call 504-262-8887 to book. Not valid with any other discounts, coupons or deposits.